Tech giant is looking for developers to unify their offerings for Mac, iPhone and iPad. Apple is following in the footsteps of Microsoft and Google as it looks to have universal apps across the different devices and operating systems it offers. 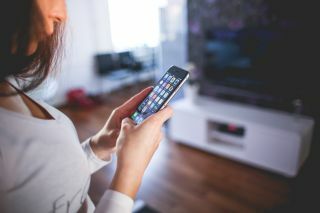 The company has announced that it will soon start offering a single set of apps that work on iPhones, iPads and Mac computers. As of early next year, developers will be able to build single apps that will work with touchscreen inputs and smaller screen sizes, but also on trackpads and mice. Currently, Mac computers have their own app store which is generally considered poor, compared to its mobile counterpart. Apps in the store are seen as old and outdated. By forcing devs to create a single app for all platforms, all users will have the same (hopefully great) user experience. Apple isn't the first company to come up with the conccept. Microsoft has been toying with the idea for quite some time now, especially after the demise of its mobile platform. By building its Universal Windows Platform, it allows developers just that – to create universal apps that work all across the Microsoft universe – PCs, tablets, mobile phones, Xbox One. The biggest roadblock is the processor, as mobile chips have a completely different architecture. That's why there are Windows on ARM machines, as well as the Windows 10S operating system. Apple too, has started recently designing its own chips.